Christmas party planning is in full swing at the moment. 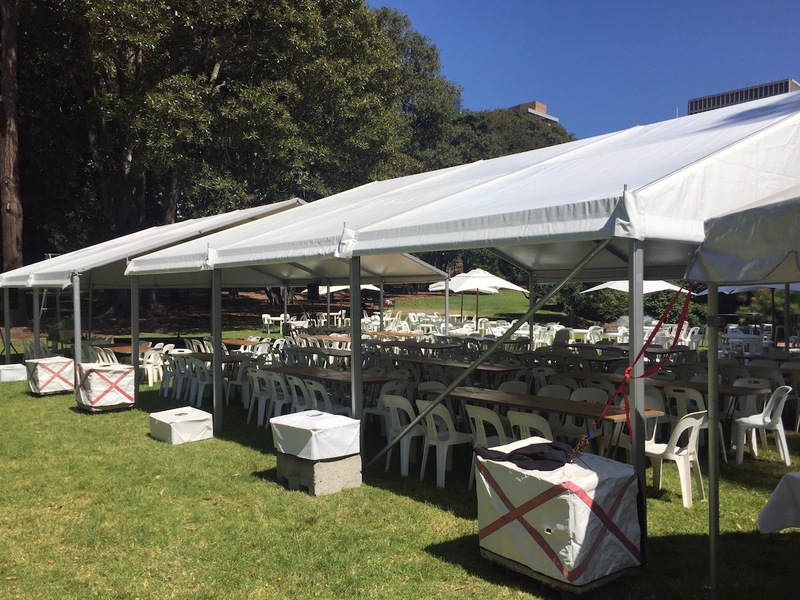 We recently came across these images from a client who had a Christmas Party in 2015 in Treasury Gardens in Melbourne. Celebrate Party Hire partnered with the client to provide all the required equipment to stage a lunch event for over 400 government department staff. 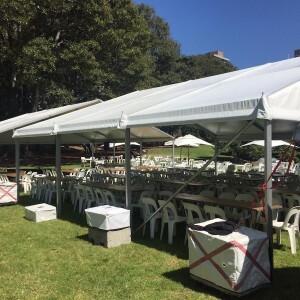 Equipment supplied included clear span Marquees, tables, chairs, umbrellas, staging, catering equipment, outdoor cocktail tables and bar stools. Assisted by a beautiful day, the party was a huge success. 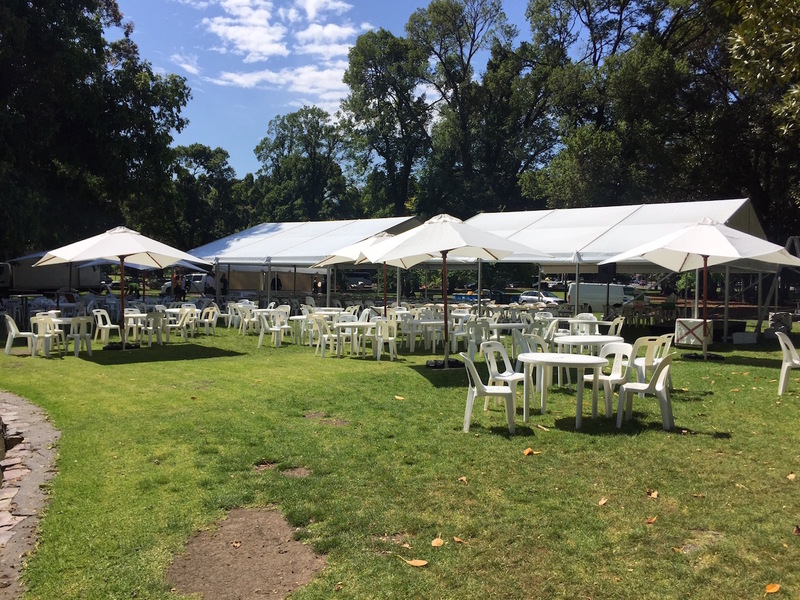 Celebrate Party Hire can assist with all your Marquee Hire, Table and Chair hire and function furniture hire needs. Contact us now to assist with your Christmas Party Planning. 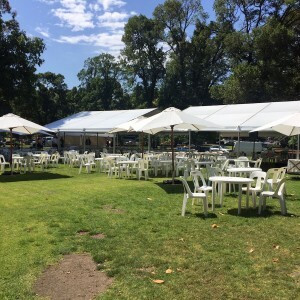 We service all of Melbourne and our marquees come in a range of sizes and styles. We also offer clear roof marquees.